Enter time the way you work, either as a single number in the HOURS field, or enter a START TIME and STOP TIME. To make entry faster a 24 hour clock is used and minutes are optional. For example, a start time of "14" and stop time of "15:15" will be recorded as an entry of 2:00pm to 3:15pm. 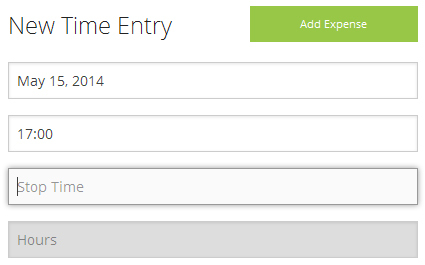 To add an expense simply choose ADD EXPENSE and enter the value. 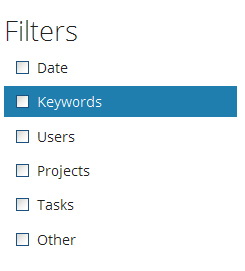 The PROJECT and TASK lists are sorted with your most frequently used items appearing at the top, followed by all the items in your company listed alphabetically. If the Project you are working on doesn't appear in the list the "+" button will allow you to instantly add a new project. Once you submit your entry the Project or Task you've added will be available to anyone in the company. Entering a few words in the NOTES field with your entry will give meaning to anyone reviewing the information, use notes to describe what you accomplished or the problems you had. Attach an image as a way to capture content when words aren't enough or are too much effort. Imagine that whiteboard meeting you wanted to document, but weren't sure where to put the image, attach it to your time entry and let the image describe what happened. 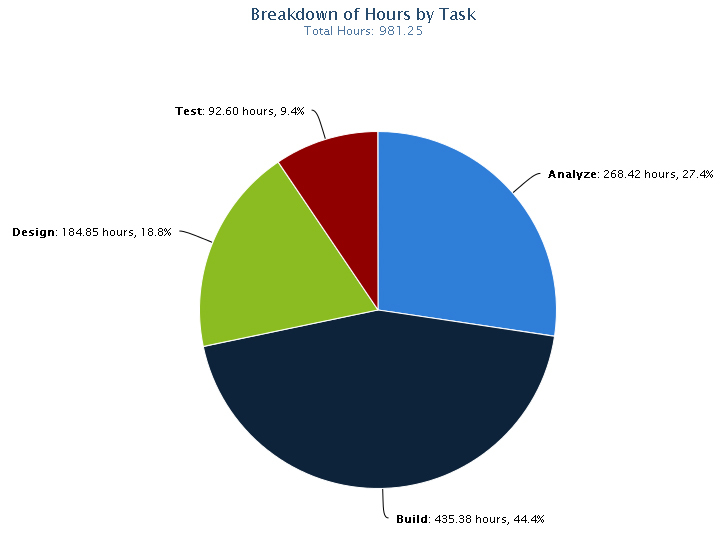 Reporting has been optimized to deliver quick summary charts. Flexible filters allow for custom datasets that can be individually exported to CSV for use in external analysis or accounting packages. This is a Grants International Inc. product © 2011, All Rights Reserved.